When you need to travel to and from the airport, there is no shortage of options out there for you. However private car hire tends to be the most popular form of transport due to the perception that it gives you more freedom and flexibility in what you can do. This may be true in certain regards, however there are also a lot of responsibilities and possible liabilities that also come with this option, which is something most people don’t stop to consider. 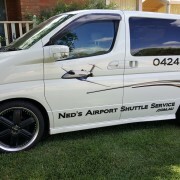 This is a large part of the reasoning behind the recent shift in popularity towards airport shuttle services such as Ned’s Airport Shuttle Service. Since air travel by itself is already stressful enough, it’s easy to understand why customers would like the rest of their journey to be as peaceful and stress free as possible. Airport transfers making getting from A to B as stress free as possible, all you have to do is sit back and enjoy the ride, knowing that all of your concerns are being dealt with by a professional. Still not convinced? Here are a few reasons why airport shuttle services could really benefit you. If you decide to choose a car rental instead of a shuttle, chances are you may get lost in the hustle and bustle of everyday city life, especially if you are a first time visitor. 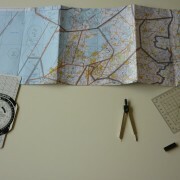 Moreover, after a long flight chances are you will be feeling tired and maybe even a little bit disorientated, depending on how long your flight was. This cannot only be an annoyance, but could also contribute to a serious crash or incident, which could have been avoided. If you really want to avoid any unsafe situations or hassles, you’re best of taking a shuttle. Petrol is expensive no matter where you go; it’s simply a cost you aren’t going to be able to avoid. One of the biggest drawbacks of this option is that the initial fee is not where the expenditures end; you are still going to have to pay for excessive amounts of fuel. You are also expected to fill the tank of the vehicle when you hand it back over, which is just another reason to choose an airport shuttle. Let’s face it driving can be bloody frustrating. When you are in a place you don’t know full of road rules you may not be used to, this frustration can increase ten fold. With an airport transfer you can simply sit back, plug in your earphones, and enjoy the ride whilst your driver does all the hard work for you.